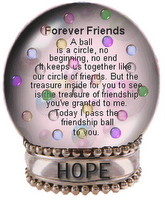 I have received an forever friends award from Jhona. My hearts always jump with joy whenever i received an award like this. 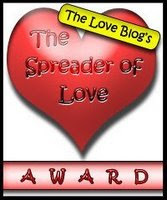 A while ago I also received the love blog's award from Rebecca a very charming and pretty blogger friend. I am passing forever friends award to Ate Joy, Ate Liz, Jhonalisa, Weng, Femikey, Flo, and Nova. Hi Rosemarie congratulations! I have a tag for you here http://mlizcochico.blogspot.com/2008/01/spreading-love.html, let's continue spreading the love. Take care and have a nice day.